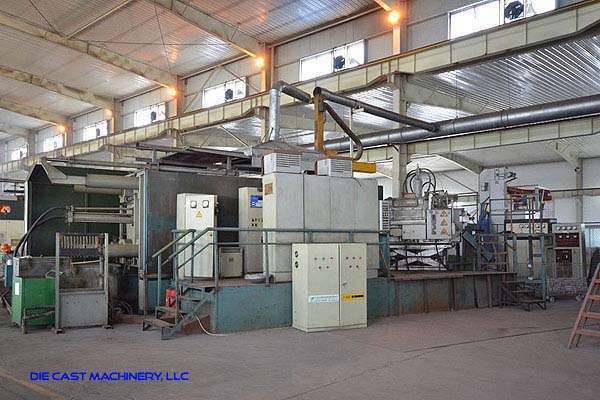 Used Buhler 1800 Metric Ton Horizontal Cold Chamber Aluminum/Magnesium Capable High Pressure Die Casting Machine. Inventory item: DCM-3104. Less than 6,000 hours of total run time!